Autodesk 360 desktop companion Update 2 can be downloaded here. What is Autodesk Sync? Autodesk AutoCAD 2014, Autodesk Inventor 2014, and Autodesk Showcase 2014 include a desktop software component called Autodesk Sync. It enables you to open documents from and save documents to Autodesk 360 online storage from within the product. If you don’t want Autodesk 360 installed you can “hack” an ini file before installation of the Autodesk product where it is included or you can uninstall it after as there is no option to deselect it during installation of for example AutoCAD 2014. See details about 2014 deployments on my AutoCAD 2014 page. 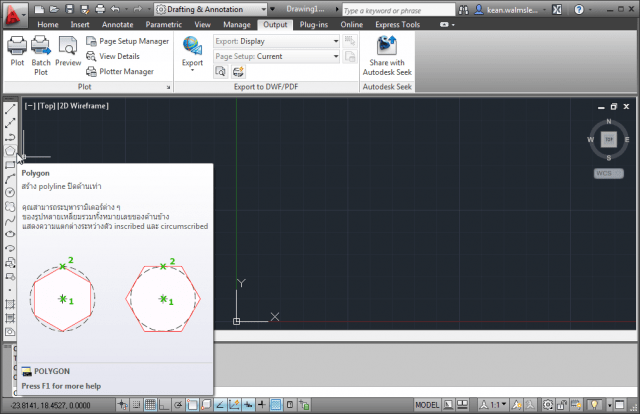 Previous Live Update 1 for Autodesk 360 desktop companion. About a month ago I posted How to purge DGN linetypes in DWGs but I found an issue resulting in that Autodesk disabled the AutoCAD DGN Clean-up Tool. Now the AutoCAD DGN Hotfix is released solving this bug and also adding a function that prevents copy and pasting to case bloating. 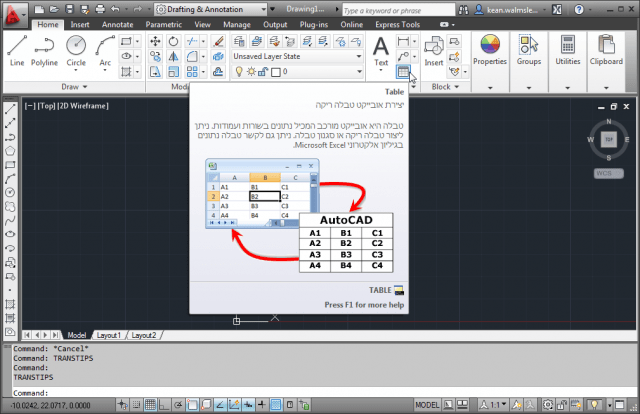 This Hotfix applies to AutoCAD 2013, to Autodesk AutoCAD 2014, and to related vertical products. This Hotfix cleans up non-essential data from DWG files that have become bloated while copying and pasting from DWGs containing DGN linetypes. It will also prevent future occurrences of the file bloat issue from occurring when copying/pasting objects within the same drawing, from one file to another, or when attaching a drawing with DGN linetypes to another file as an external reference. 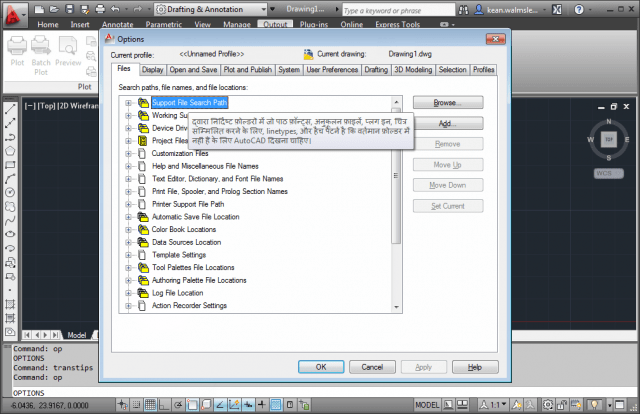 Make sure to read “AutoCAD 2013-2014 DGN Hotfix Readme.pdf” to learn how to install this. UPDATE: Sept 3, 2013 AutoCAD DGN Hotfix for AutoCAD 2012 is made available here. OffsetInXref 1.2 has been released on Autodesk Exchange Apps. If you want better OFFSET functionality in AutoCAD, OffsetInXref plugin can be used to enable the OFFSET command to work with nested line contents of blocks and externally referenced drawings, associated arrays, dimensions and tables. Once loaded, the standard OFFSET command will work with blocks and externally referenced content: instead of responding "Cannot offset that object", the plugin will automatically copy the selected object into the current drawing, allowing it to participate with the OFFSET command. The lowest-level object will be selected, if part of a nested Xref or block, but some objects - such as Hatches - will still cause the "Cannot offset that object" prompt to be displayed. All objects copied temporarily into the drawing will be erased automatically at the end of the OFFSET command. The plugin can either have the OFFSET command create geometry on the current layer (the default) or the source layer. The XOFFSETLAYER command allows configuration of this option. Version 1.2 news: Added support for "heavy polylines" (2D Polyline) and dimension objects. 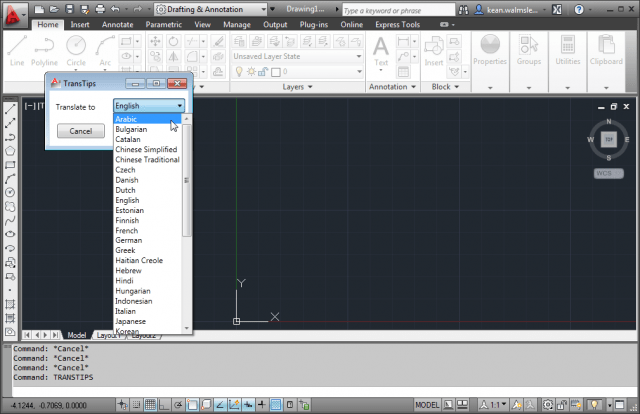 XOFFSETLAYER setting is remembered between AutoCAD sessions. Fixed some issues that could cause AutoCAD to crash. OffsetInXref trial can be used to see if this app fits your needs and when ready to purchase visit OffsetInXref and you can get a license for 2 USD. If you are interested in other useful AutoCAD helper functions take a look at HTools Menu for AutoCAD, UnitCAD for AutoCAD or HVACPAC. Here are details from Autodesk’s FAQ about software rentals. It’s a pity that network licenses are not available to rent. Many years ago on an engineering company I worked for we rented software like PDMS from AVEVA and could change it quite often based on current need and with the help of JTB FlexReport it was easy to make sure we had just enough licenses. This was great as we used consultants to handle the ever changing ups and downs. But if the terms fits your needs it can be a great way to get access to AutoCAD, Revit and other Autodesk software. What is an Autodesk software rental plan? A software rental plan is a term license with associated benefits, which enables you to license Autodesk software on a short-term basis to meet a variety of business and budget considerations. What is the difference between perpetual and rental plans? Traditional perpetual software licenses grant license holders the right to use the version of Autodesk software that is purchased for as long as they want. Rental plans grant license holders the right to use the software for a specified period of time. Rental plans offer many of the same features and benefits as a perpetual license of Autodesk software and Autodesk Subscription. What are the benefits of Autodesk rental plans? Pay when you need it: Pay for access to software only when you actually need it, giving you the flexibility to control costs. Stay up to date: Get access to the latest software releases and product enhancements at any time. Scalable licensing: Add and remove licenses to easily manage a variety of temporary staffing needs like the addition of consultants, interns, and part-time employees. What are the technical support benefits of rental plans? Rental plans include access to technical support. Is Autodesk Subscription available for rental plans? No. Autodesk Subscription is not applicable for rental plans but rental plans do provide similar benefits, including technical support, software updates (if available), and access to cloud services for certain rental plans. Will rental plans be made available for Education versions of Autodesk software? No. For more information on purchasing Autodesk Education software see http://usa.autodesk.com/education/. When does a rental plan begin? The rental plan begins once you receive your order confirmation email. For example, if you place an order on August 31, 2013 and receive your order confirmation on the same day, the rental term begins on August 31, 2013. Does the software license which comes with my rental plan sit in the cloud or on my desktop? Software licenses which are part of rental plans are installed on your desktop; however, many of the rental plans include access to cloud services which are not installed on your desktop. Does the software that comes with my rental plan have to connect to the Internet to work? The desktop software will work when offline for up to 14 days, at which point you must connect to the internet for the software to continue working. An Internet connection is required in order to access cloud services that are part of the rental plan. Where do files created with the software license that comes with my rental plan reside? Files and projects saved with the desktop software licenses which are part of my rental plan are saved locally on the desktop. Although an actively licensed rental plan or perpetual software product is required to open and edit files, you retain your data on your desktop. Are files created using the software license which comes with my rental plan different from those created in a perpetual license of that software? No. There is no difference in files created. They are 100% compatible with each other. What happens to data stored in the cloud after a rental plan is not renewed or terminated? Cloud services entitlement continues until the end of the billing cycle, at which point all documents stored in Autodesk 360 Storage remain available for a further 30 days (25Gb). If your rental plan has expired, you can continue to access and view existing design and documentation files during this period, but you will not be able to edit or add information to the files. After 30 days, your Autodesk 360 account will revert to the free offering and storage limitations will be reduced from 25Gb to 5Gb. How do I renew my rental plan? The renewal process for a quarterly rental plan purchased from a partner and directly from Autodesk is the same as the Subscription renewal process. You will receive renewal notifications at 45, 30, and 4 days prior to expiration and 10 days post expiration. The renewal process for monthly plans executed through the eStore is automatic unless and until you cancel your automatic contract for your monthly rental plan. Your credit card will be charged each month per the rental agreement and a confirmation sent to you. What is the Return policy for rental plans? Quarterly rental plans purchased directly from Autodesk can be returned within 30 days post purchase. Customers should contact their reseller for details of the reseller’s returns policy in relation to returns of quarterly rental plans purchased form that reseller. Customers can view the returns policy relating to purchases of monthly rental plans on the Autodesk Store. Can I convert an existing perpetual desktop license to a rental plan? No, you cannot convert a perpetual license to a rental plan. Can I convert a rental plan into a perpetual license? No. You cannot convert a rental plan into a perpetual license. You will need to cancel your rental plan and place a new order for a perpetual license. Can rental plan customers purchase cloud credits? Yes. Rental plan customers can purchase cloud credits through their partner, eStore, or directly from Autodesk. See our cloud credits FAQ for more details about the procurement and use of cloud credits. Can I purchase a combination of rental plans and perpetual licenses? Yes. You may purchase a combination of perpetual licenses and rental plans on separate contracts, through separate orders. Will network licenses be available under rental plans? No. Rental plan licenses are named user licenses; each license can only be used by one named end user, who accesses the rental software and associated benefits of the rental plan with his or her individual Autodesk ID. Will rental plans include previous version usage rights? No. Access to previous versions is not available at this time. With the new ‘Pay As You Go’ deal JTB FlexReport can be an invaluable tool to monitor and understand your actual need of licenses. Scale List Cleanup Utility is now available for AutoCAD 2013 and AutoCAD 2014. Download it here. If you run into this Fatal Error: "Unhandled Access Violation Reading 0x0000 Exception at bcbdad73h" there is a solution found here. I suggest first to update the drivers for the video card. This hot fix addresses a vulnerability that could lead to an arbitrary code execution when loading specifically crafted DWG files. The vulnerability has a Common Vulnerabilities Exposure (CVE) ID CVE-2013-3665. For more information, please visit the CVE dictionary at http://cve.mitre.org as well as this detailed paper. This Hotfix works with supported versions (see readme) of AutoCAD 2011-2014, AutoCAD LT 2011-2014, DWG TrueView 2011-2014, and associated verticals. Download it here. Files affected are acdb18.dll, acdb19.dll, AcSignCore16.dll and AdApplicationFrame.dll. Note that when the script is run it will kill explorer.exe and restart it when ready. But I got problem to run this. Afterward Explorer had to be started manually. I then used Process Explorer and searched for AcSignCore16.dll and found that the process KeePass.exe used it so I killed it and after that I successfully could run the complete hotfix. If you want to distribute this hotfix on many computers run it on a test computer and then grab the files found in %TEMP%\BufferOverrunHotfix. HotfixLauncher.vbs and Hotfix.vbs can be edited as needed. UPDATE: This hotfix is included in AutoCAD 2014 Service Pack 1. Having VBA code like this can cause troubles. For some reason it is inconsequent because sometimes I found it working and sometimes it doesn’t. I first thought it had to do with the case of the file name did not match. I tried "C:\DEMO.DWG" and suddenly it worked but then again it didn’t. 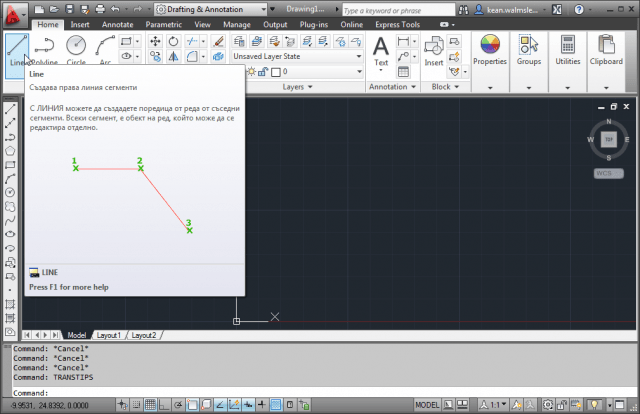 Not sure but it seems to work fine the first time AutoCAD is launched and after that it just don’t work longer. I have only tested this in AutoCAD 2014 64-bit and Windows 8 so it might work differently with other setups but after I run into this I found that other have had similar problems in older AutoCAD versions too. The workaround is to use a variable for the block name.